For four long months, ten-year-old Cass has been dreaming of the day her mom, Toodi, will come home. But when Toodi's welcome back party takes a turn for the disastrous, Cass finds herself stuck alone with her dull-as-dirt dad, who insists that they set off for the summer on a mysterious adventure-just the two of them. It turns out Cass's dad has some big-time surprises up his sleeve. 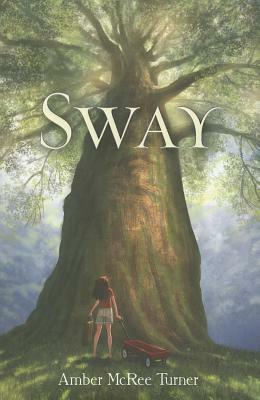 Once they hit the road in an old RV named The Roast, he introduces her to the amazing power of "Sway," a seemingly magical force that can bring inspiration and joy to people in major need of help. Cass can think of one particular person who could really use some Sway. If only she could track down Toodi, Cass knows she could convince her mom to come home. But with the help of a little home-spun magic, Cass realizes that the things she needs most have always been within her reach. Amber McRee Turner (www.ambermcreeturner.com) lives and writes in Germantown, Tennessee. She is a proud mother, a fan of Mary Poppins, and an easy laugher. This is her first book for children.